An elegant way to organize your collection of wine glasses and champagne flutes. This wine glass rack mounts under the kitchen cabinet to safely hang glasses and keep them in easy reach. 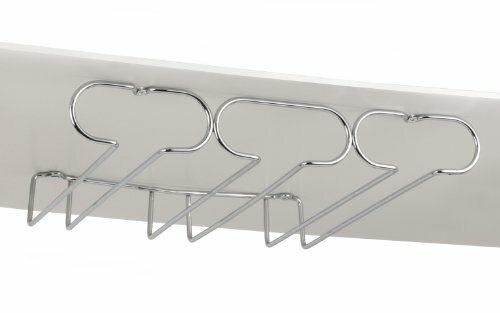 The stemware rack has three slots, each of which holds approximately 3 wine glasses. By hanging upside down, the insides of your wine glasses are less likely to become dusty, as they would by standing upright on a shelf No Assembly Required. Hardware included for mounting under cabinets. Measures 12"L x 13"W x 2.25"H.